CPV is one of the major vertical for PAMAC. Under CPV vertical, we provide various verification services like – Address Verification, Tele Verification, Document Verification etc. to Banking and Non- Banking Sectors, Insurance Sectors. We handle major volume of Credit Cards, KYC and Retail Assets Products including Personal loan, Business loan, Auto loan, Education loan, TW loan, Loan Against property / Mortgage Loan, Commercial Vehicle & Home loan etc. We conduct Residence / Business address verification activity to confirm applicant / candidate existence at given address. Our Field Executives personally visit to the given and gathered maximum information about the applicant. Following information gathered at the time of verification. We called up to the applicant / candidate on the given contact number and collect maximum information over phone as well as verify whether applicant is reachable at the given contact number. We visit to the concerned authorities and verify the documents which applicant / candidate submitted along with the application. Documents Verification includes the following documents. PAMAC has a highly skilled set-up with state of the art technical tools to undertake top quality forensic check of security documents. As per the market requirement PAMAC deliver the Shortest TAT without compromising the quality, to meet Business exigencies of client. PAMAC MANAGEMENT SYSTEM online software helps client/Associate to get the report on real time basis. 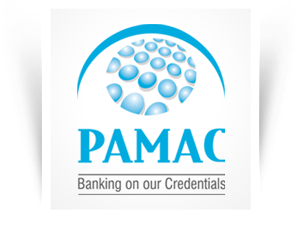 Client/Associate are provided with access of PAMAC MANAGEMENT SYSTEM online software Password protected limited to particular Activity/product, to help them get the status on their system with minimal coordination efforts. PAMAC has implemented Mobile Utility, for Field executive, which helps real time reporting from FOS (Field on Street) to the back office team, and enables them to spend maximum time on field and thus, increases productivity and efficiency.